I'm sitting here sipping on black elderberry chai tea, trying to fight off the beginning stages of the flu. 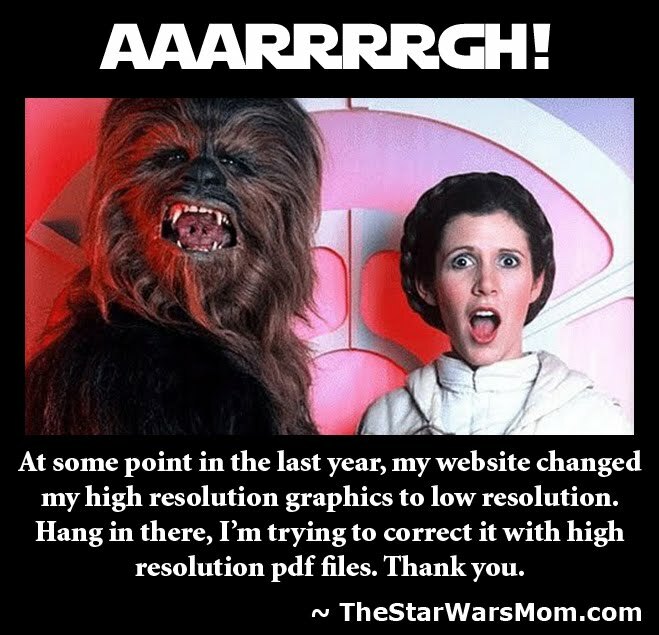 It's how I use the force in real life, I make my own natural medicines and most of the time they work quite well. 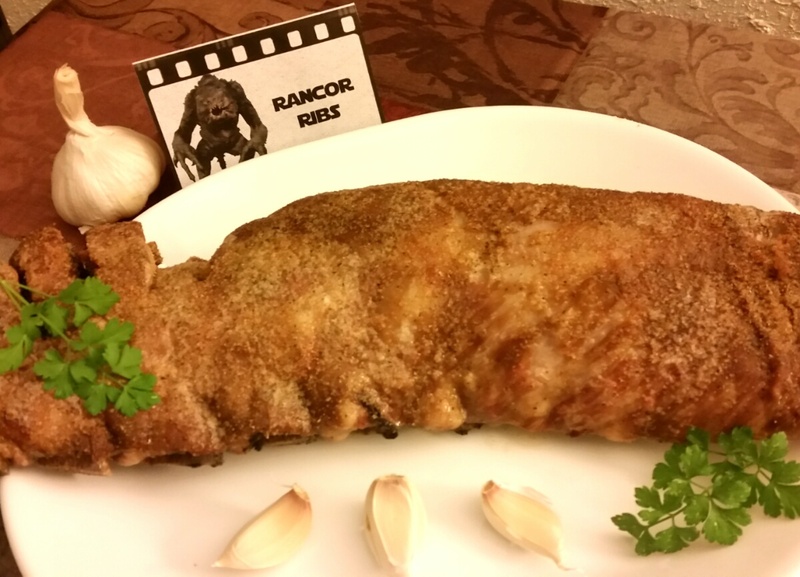 But enough about that...tonight's post is about another free Star Wars party food label, this time for Rancor Ribs. 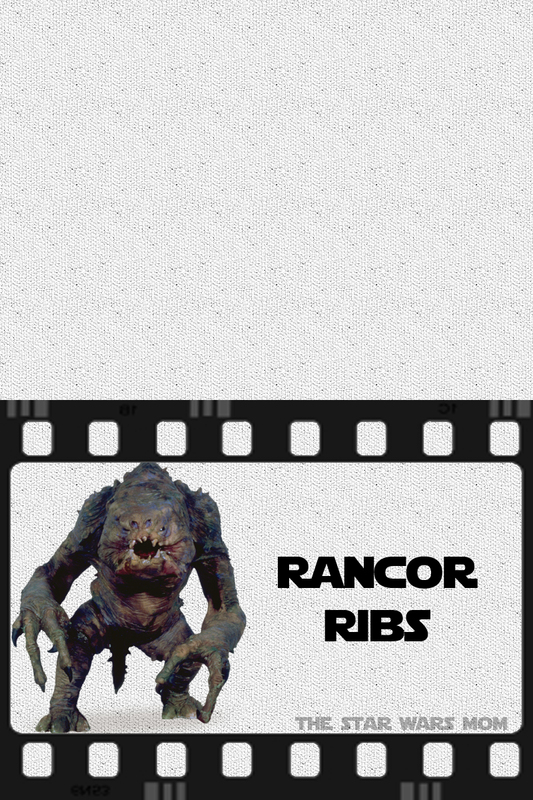 You will find the free printable label for the Rancor Ribs below. 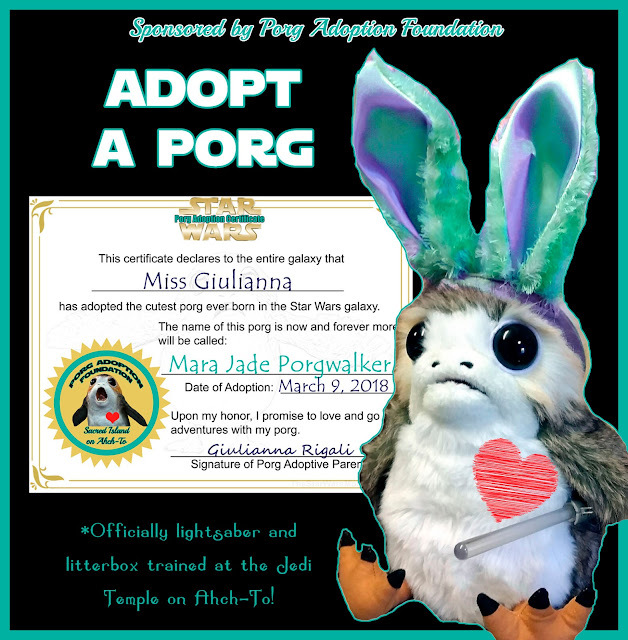 How do we make rancor ribs? First I marinate the Rancor Ribs (if you can't find any rancor at your local store, please feel free to substitute beef or pork) in oil, vinegar, soy sauce, brown sugar, black pepper, onion, and garlic. Then I bake them at 350 degree in a pan with some water and covered in foil for 45 minutes. After, I remove the foil and drain off most of the water. I sprinkle the ribs with extra salt, pepper, and garlic powder and bake until the meat thermometer says they are done, which is anywhere from 20-45 more minutes, depending on the meat, bones, etc. Buon Appetito!